Select SIZE Mens 18 / 34" Mens 20 / 35" Mens 22 / 36" Mens 24 / 38"
Crazy for a classic and cool style? 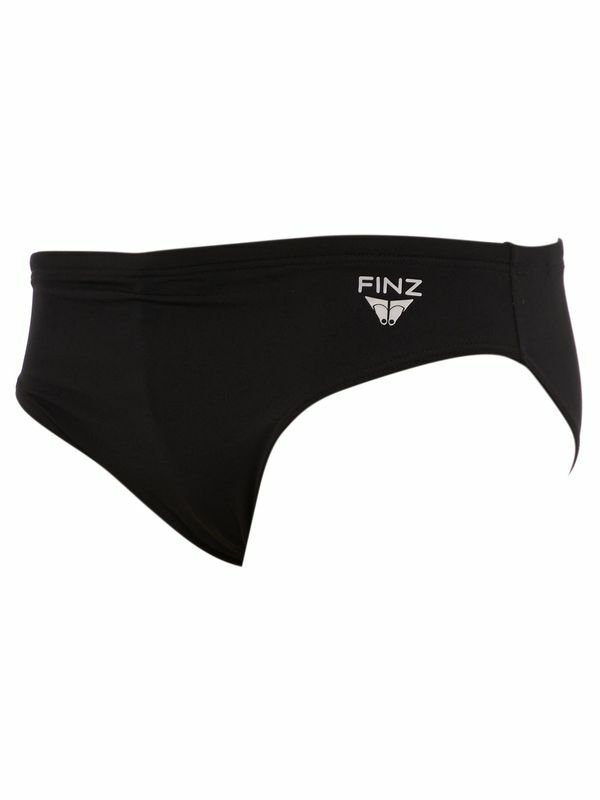 You are going to want to dive right into the Finz Onyx Solid Men’s Racer Trunks. This onyx black look features a timeless style with a snow white Finz logo at the hip. While it may be a traditional style, this isn’t just another pair of boring black racers! This one of a kind piece of swimwear has it all. From the cutting edge Finz Swimwear range that was made for athletes, triathletes, surf life saving teams, the Finz Onyx Solid Men’s Racer Trunks has everything that you need to fly through the water at top speeds.